The Leeds food scene is pretty awesome. There's so many amazing new places popping up all the time. In the last couple of years street food has become my favourite food trend in Leeds. 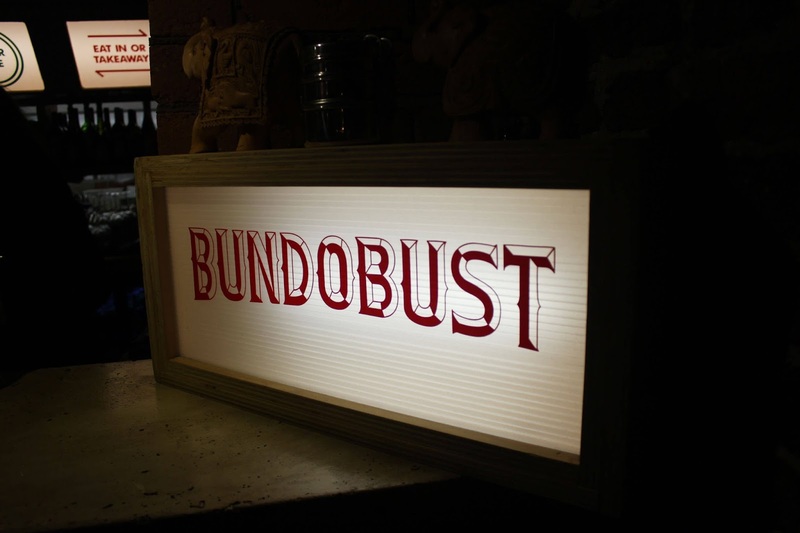 If you love great food and craft beer then you must pay Bundobust a vist. Since it opened in 2014 it has quickly become a favourite spot for me and my friends to meet after work or at the weekend. 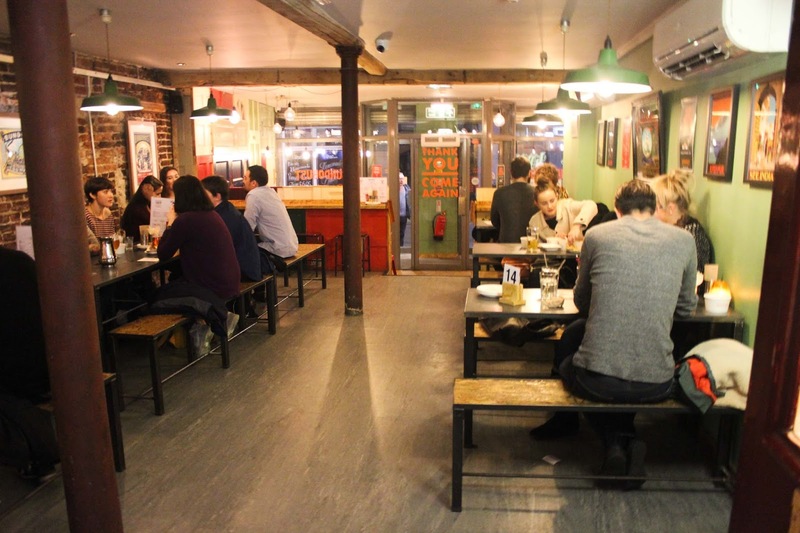 It's one of the best bars in the whole of Leeds for craft beers. They have so much choice and regularly update guest beers they have on tap! They have also introduced a new cocktail and mocktail menu which is awesome. The Mango Lopez mocktail is genuinely one of the best drinks I've ever had and I could drink it all day everyday! It's a mixture of Mango, pineapple and coconut. Now onto the food, like I mentioned every single dish on the menu is vegetarian. 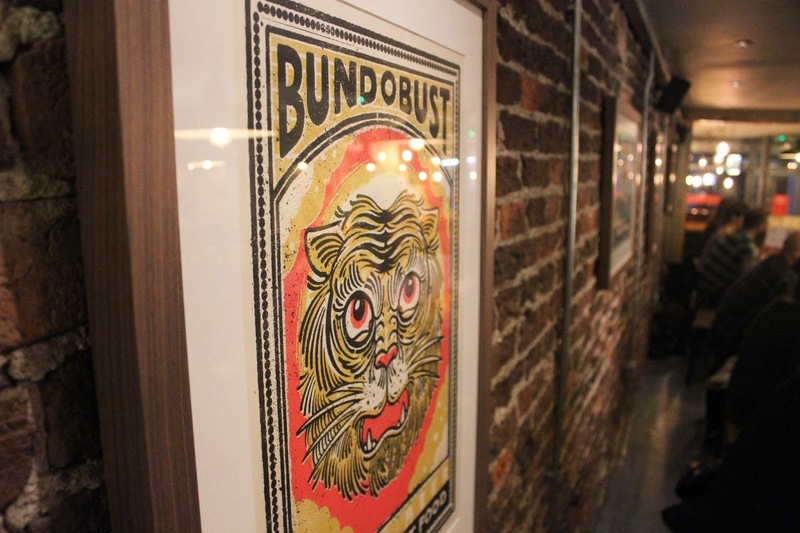 I'm not a vegetarian, in fact I really love chicken, but I have to say that none of the dishes at Bundobust make me miss meat. Every dish that I have tried off the menu (I've tried almost all of them!) is so full of flavour. Most of my friends are meat eaters yet we find ourselves returning to Bundobust time and time again because the food is so delicious. If I knew how to cook like that I would happily give up meat. My two favourite dishes are the Tarka Dhal & Rice, and the Paneer & Mushroom Tikka. 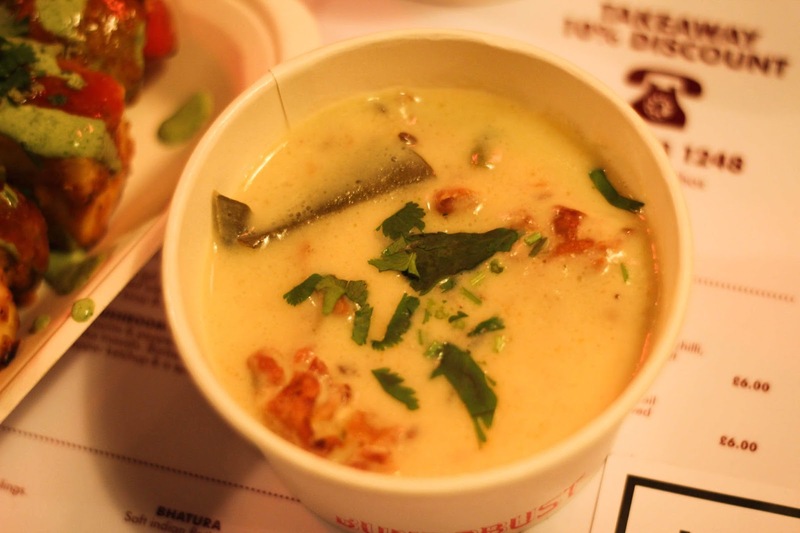 I've actually never tried paneer cheese until I tried it at bundobust and I absolutely love it! 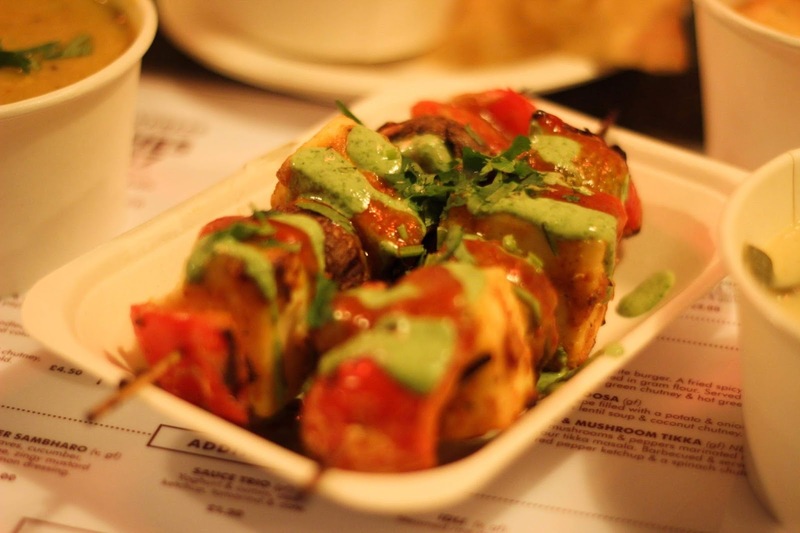 I've even bought some from the supermarket and attempted to cook some myself, but it wasn't half as nice as the paneer skewers at Bundobust. The Onion Bhajis are also exceptional, I have found that in a lot of indian places they come dripping in oil but the ones at Bundobust don't seem to be greasy at all. All of the three dishes are also gluten free which makes me very happy! Infact I'm sure there are more items on the menu that are gluten free than not, which is really awesome! If you aren't intolerant to gluten then another dish you really MUST try is the Chole Bhatura. My friends say that the naan bread is fluffy and moist and the chickpeas in a rich tomato sauce are to die for. 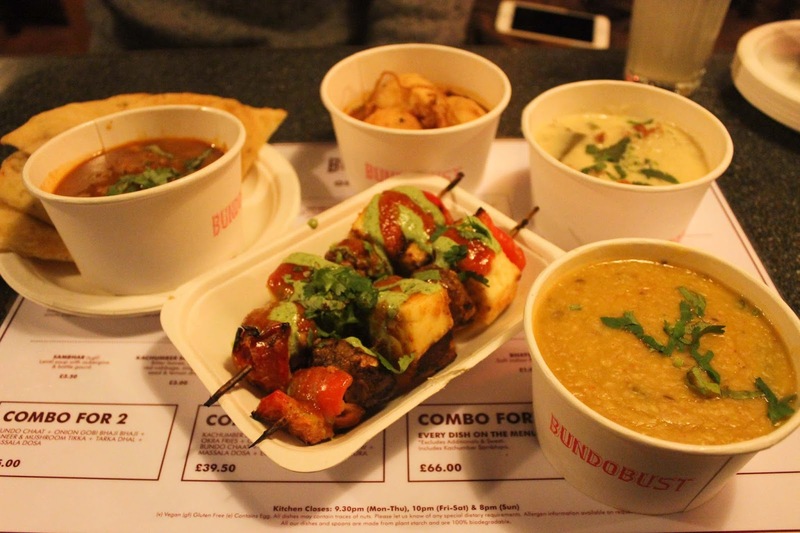 All of the dishes come in small plates so Bundobust is perfect if you just want something little to have with your beer, or you can order a couple of things for a full meal. The plates are quite small but they are all very surprisingly filling! The boy and I normally order two things each and leave absolutely stuffed. The decor is quite quirky, one of the walls is decorated in old doors! All of the seating is benches, which creates a nice relaxed atmosphere, although it can get a little uncomfortable! They have lots of awesome quirky prints on the walls, and a nice heated outside smoking sitting area. 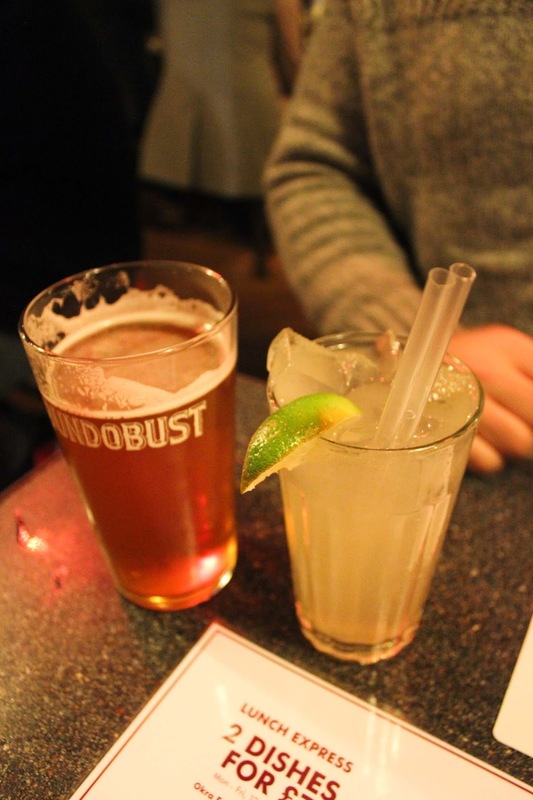 Bundobust is definitely one of my favourite spots in Leeds! I think the Leeds food scene is actually one of the best in the UK I swear! This post is making me seriously hungry! What a delicious post! I love chole bature too and really want to try their mango lopez. Hope to visit this restaurant soon. Great recommendation!